Kick off your visit on the 4th (Tue): stroll through Beaches at Cabo Polonio, enjoy the sand and surf at Playa Los Botes, and then stroll through La Pedrera. For other places to visit, where to stay, photos, and other tourist information, read La Pedrera day trip site . Perth, Australia to La Pedrera is an approximately 31-hour flight. The time zone difference when traveling from Perth to La Pedrera is minus 12 hours. Finish up your sightseeing early on the 4th (Tue) so you can go by car to Punta del Este. 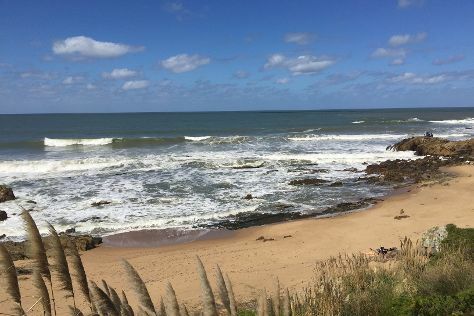 On the 5th (Wed), kick back and relax at Playa de Jose Ignacio, then enjoy the sand and surf at Playa Mansa, and then stroll through Playa Mansa. Get ready for a full day of sightseeing on the 6th (Thu): enjoy the sand and surf at Playa Brava, enjoy the sand and surf at Playa Portezuelo, and then admire the landmark architecture of Museo - Taller de Casapueblo. To find reviews, more things to do, traveler tips, and other tourist information, read our Punta del Este trip planner . Traveling by car from La Pedrera to Punta del Este takes 2 hours. Alternatively, you can take a bus. Due to the time zone difference, you'll lose 1 hour traveling from La Pedrera to Punta del Este. 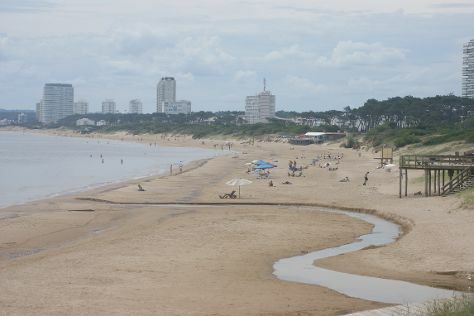 December in Punta del Este sees daily highs of 28°C and lows of 21°C at night. Finish your sightseeing early on the 6th (Thu) to allow enough time to drive to Colonia del Sacramento. On the 7th (Fri), enjoy the sand and surf at Playa Ferrando, then appreciate the extensive heritage of Barrio Historico, then stop by Almacen La Carlota, and finally enjoy the sea views from Colonia del Sacramento Lighthouse. Here are some ideas for day two: stroll through Playa Santa Ana, then enjoy the sand and surf at Playa Real de San Carlos, and then don't miss a visit to La Calle de los Suspiros. To find ratings, other places to visit, photos, and other tourist information, read our Colonia del Sacramento trip itinerary planner . You can drive from Punta del Este to Colonia del Sacramento in 4.5 hours. Alternatively, you can take a bus. Traveling from Punta del Este in December, expect nights in Colonia del Sacramento to be about the same, around 22°C, while days are somewhat warmer, around 32°C. Finish your sightseeing early on the 8th (Sat) so you can drive to Montevideo. We've included these beaches for you: Playa Pocitos and Ramirez Beach. Get a sense of the local culture at Pocitos and Ciudad Vieja. Get out of town with these interesting Montevideo side-trips: Cuchilla Alta (in Canelones) and Pizzorno Family Estates (in Las Piedras). And it doesn't end there: don't miss a visit to Plaza Independencia, ponder the world of politics at Estevez Palace, admire the striking features of Palacio Salvo, and explore the world behind art at Museo Municipal de Bellas Artes Juan Manuel Blanes. For more things to do, traveler tips, photos, and more tourist information, read Montevideo itinerary builder site . Drive from Colonia del Sacramento to Montevideo in 3 hours. Alternatively, you can take a bus; or do a combination of ferry and flight. In December in Montevideo, expect temperatures between 32°C during the day and 19°C at night. On the 12th (Wed), you're off tohome.